Activision Blizzard (ATVI) shares saw a decline of over 10% today amid a slew of disappointing reports from rivals Electronic Arts (EA) and Take two Interactive (TTWO). 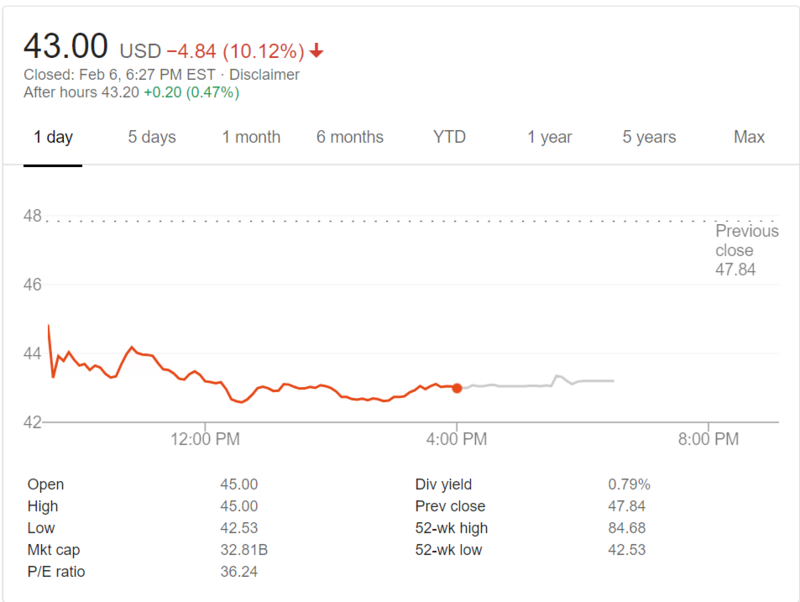 Shares of ATVI traded down to $43 dollars after closing yesterday at around $48. Disappointing guidance from EA and TTWO contributed to the stock declines of 13% and 14% respectively. The downbeat revenue and earnings forecasts led analysts to assume that the gaming sector in general must be struggling. 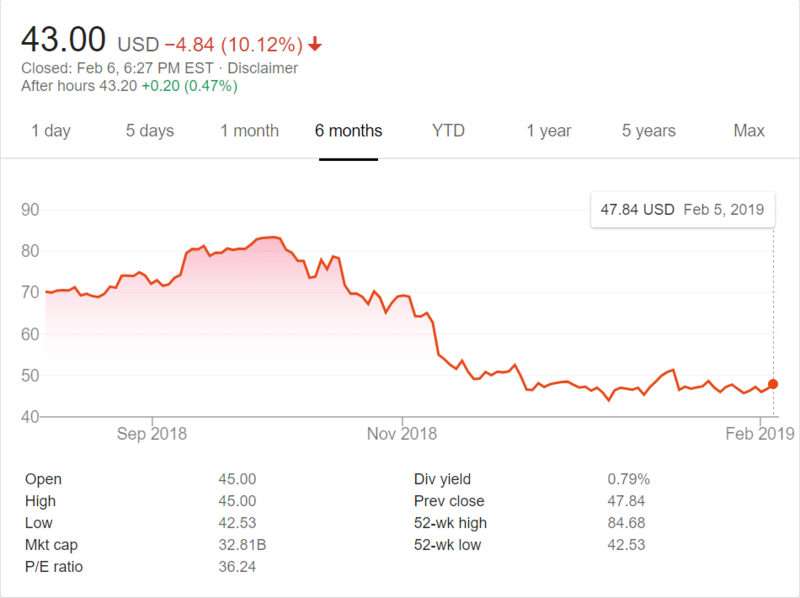 There was no company specific news out of Activision Blizzard today that could have led to such a large decline in the share price. Here’s a look at the trading action from ATVI today. The drop in Activision Blizzard shares wiped out over $3 billion dollars from their market cap which now sits around $33 billion dollars. Today’s fall continues a streak of bad news and share price declines for the company. In October 2018, the stock reached a high of around $84 per share. Just a handful of months later, the stock has been just about cut in half. 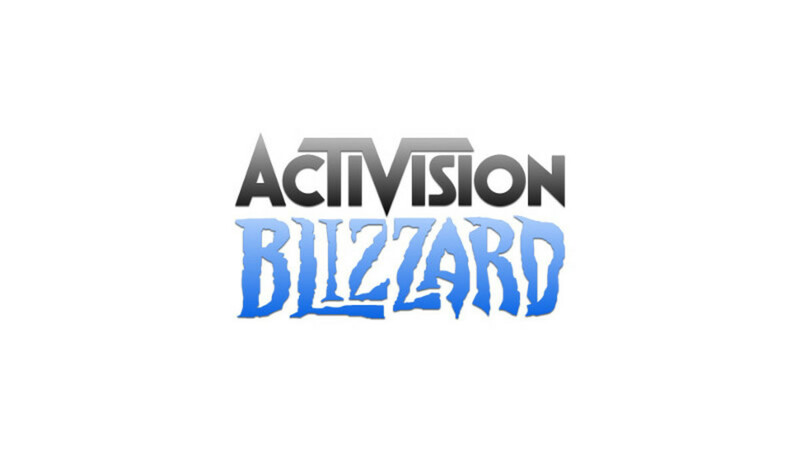 Activision Blizzard reports their holiday quarter earnings after the close on Tuesday, February 12th, 2019. Analysts are expecting around $1.21 of earnings per share for the quarter. That is an extremely important date where shares can either rebound or continue their decline if ATVI comes in below expectations on revenue, earnings, or guidance. DISCLOSURE: I have no positions in any stocks mentioned, and no plans to initiate any positions within the next 72 hours. I wrote this article myself, and it expresses my own opinions.